Initially Gael Lesoudier (#29 Red Racing Lister Storm) set the quickest time, but we had to wait for a few minutes before seeing the lap imes really improving. With the weather being very hot, most of drivers chose not to run too many laps to save their tyres. Kuismanen (#25 PSI Corvette C6.R) then ran some flying laps and claimed the pole position. No one could improve on his lap time. 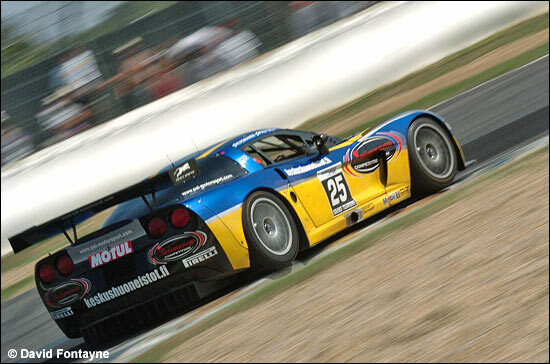 Yvan Lebon (#27 SRT Corvette C5-R) was then second quickest, ahead of Police, Bornhauser (#1 VBM Viper) and Debard (#14 Tarrès Team Viper). As usual, the last few minutes determined much of the grid. Bornhauser succeeded in improving and was eventually second quickest, ahead of Lebon. Hernandez (#9 Anaveo Oreca Saleen S7R) improved too in spite of 80 kg of ballast and was in fourth place, ahead of Soave (#26 SRT Corvette). In the GT2 Trophy, Michel Lecourt (#36 IMSA-MATMUT Porsche 996 GT3 RSR) set the pole, with a large gap over Cabanne (#44 Ruffier Racing Dodge Viper GT3). From the pole position, Pertti Kuismanen was the best starter, ahead of Bornhauser (VBM Viper), Lebon (SRT Corvette) and Hernandez (ANAVEO Oreca Saleen). 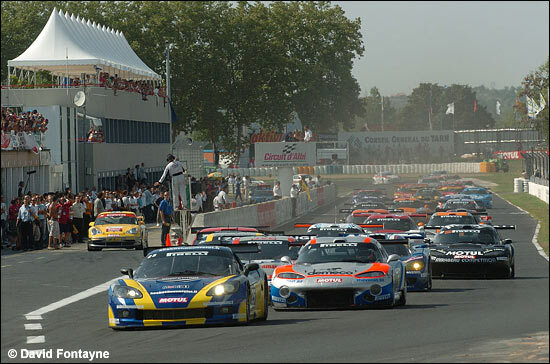 Behind them, Soave (SRT Corvette) had some trouble containing Police (#22 CD Sport Viper), Dubreuil (#23 CD Sport Viper) and Blanchemain (#11 Euroflash Autovitesse Viper). Meanwhile, Balthazard (#2 SOFREV Larbre Ferrari 550 Maranello) had an off in the Parc corner. He managed to start again, but had to retire a few laps later. After ten minutes, Bornhauser, the defending champion, passed Kuismanen who remained very close. 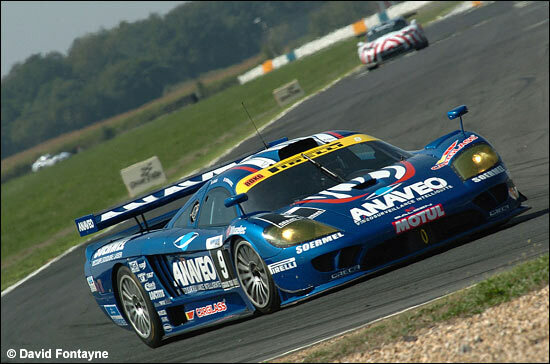 There was a five seconds gap between Bornhauser, in first place, and Hernandez in fourth, while Soave was in fifth place, ahead of Police, Fiat (#3 Protek Saleen), Lagniez (#12 Mirabeau Viper) and Peyroles (#5 First Racing Viper). On the 14th lap, Hernandez passed Lebon and for third place. Kuismanen was the new leader when he succeeded in passing Bornhauser at the end of the finish line, one lap before the driver changes. Most of the leading cars pitted, except for Patrick Bornhauser. In the pits, Bouchut who had taken over from Lebon, made heavy contact with Giroix's #4 First Racing Viper, both drivers having to retire. So, after the driver changes, Palttala (#25 PSI Experience Corvette C6.R) was in the lead ahead of Thévenin (#1 VBM Viper) who was soon passed by Soheil Ayari (#9 ANAVEO Saleen). Four men were fighting for fourth place: Eric Cayrolle (#26 SRT Corvette), Mathieu Zangarelli (#12 Mirabeau Viper), Frédéric Makowiecki (#18 Mirabeau Viper) and Dominique Dupuy (#3 Protek Saleen). Ayari used the traffic to close on Palttala. He tried to pass him, but the Finn resisted and Ayari chose to wait for the end of the race to attack him again. 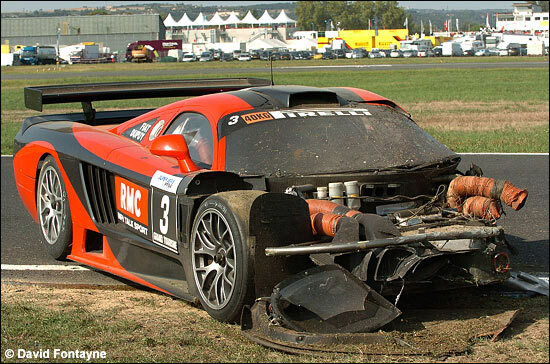 However, Dominique Dupuy had an off and crashed his Saleen in the exit of the Armand Brouzes curve, owing to a mechanical failure. The race was red flagged ten minutes of the end, and Palttala / Kuismanen were winners ahead of Ayari / Hernandez and Bornhauser / Thévenin. 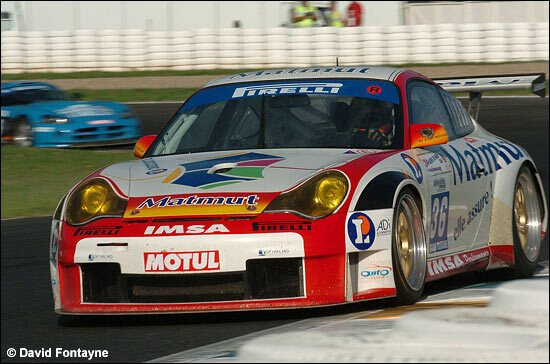 Raymond Narac and Michel Lecourt (IMSA Porsche) were winners once again in the GT2 Trophy. Their main contenders, the Monteiro brothers, had to withdraw their Porsche before the race owing to engine trouble during the practice session. Markus Palttala: “We had some small troubles with the car and once we’ve solved them, I believe that we'll run faster tomorrow. I had an eight second lead on Ayari, but I lost so much time in the traffic. Soheil came close and could have passed me because he was a bit quicker. He tried to overtake once, we had a small contact, but this is racing. I am really disappointed for Dupuy's Saleen. We're going to fight race after race, because I think that it will be too difficult to claim the title."